The perfect solution for your Miami vacations is here. Find timeshare resales and rentals at the ultra-luxurious Marriott's Villas at Doral at prices up to 70% below retail costs today. Located in the heart of one of America's most diverse and unique cities, Marriott's Villas at Doral provides a complete vacation experience from head-to-toe. From the resort's lavish swimming pool to the complete fitness center, you'll find a resort ready to welcome you to a whole new world of vacationing. 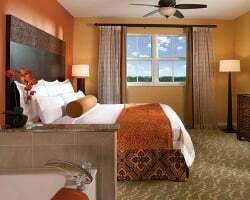 Close to all of the Miami area's best attractions, like South Beach and Everglades National Park, the resort provides a comfortable place to stay while you venture out on excursions through the Sunshine State's signature city. The resort's two bedroom villas are the perfect lodging solution for families or groups seeking to enjoy all Miami has to offer. Ideal for everything from family summer vacations to bachelor or bachelorette parties, the Marriott Villas at Doral accommodations will ensure you won't have to lift a finger. With furnished outdoor balconies overlooking the lake, fully-equipped kitchens with dinnerware, and up-to-date entertainment systems, your villa will come complete with enough space and in-unit features to promise everyone's complete comfort. Are you ready to secure your very own accommodations in Miami? Fill out the form on this page or call a representative at 1-877-815-4227 today to learn more about ownership options at the Marriott Doral Villas. Purchasing a timeshare resale at Marriott's Villas at Doral can provide you with years of great vacations at a fraction of the cost. Since resales are offered by current timeshare owners instead of the resort itself, you can find the same great ownership opportunities on the secondary market for thousands less than what others pay. Marriott Villas Doral resales often fall to prices up to 70% below retail costs, allowing avid vacationers like yourself to save big on ownership accommodations. 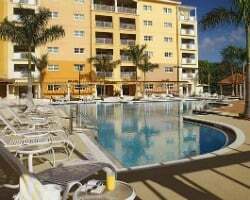 Resales at the resort are typically available in the form of deeded fixed and floating Marriott timeshare weeks, offering you a great deal in variety when finding a unit that works best for you. 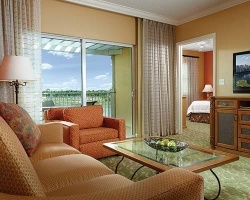 Timeshares at Marriott's Doral resort also fall within the brand's Silver, Gold, and Platinum seasons. Furthermore, owning a timeshare at the resort can enable you to take advantage of some of the best benefits and privileges of the Marriott Vacation Club. The Villas at Doral are affiliated with the Marriott Vacation Club, one of the most well-known vacation clubs in the industry. As a timeshare resale owner at the resort, you can start making reservations at the resort immediately, but you may wish to consider upgrading your ownership to take advantage of more exclusive perks and privileges. Marriott Vacation Club Destinations points can enable you to use the club's efficient points system to manage reservations, allowing you to plan more flexible vacations. What's more, you could even use those points to explore additional vacation options at other Marriott resorts around the world. The Marriott Villas Doral are also affiliated with Interval International, one of the most popular timeshare exchange companies in the world. Exchanging your timeshare can help you to get the most out of your resale ownership, as you can discover vacation possibilities in new destinations all over the world. Simply deposit your Miami accommodations into the Interval exchange network and trade for stays at comparable resorts across the globe. Additionally, the Marriott Villas at Doral is a Premier-rated resort with Interval International, meaning any resorts you exchange with will likely be of similar quality and carry a high rating. This Marriott Vacation Club Miami resort comes fully equipped with the best on-site amenities and services to make your Florida vacation one to remember. Hang out by the pool on hot summer days to cool off, or head up to the fitness center to stay active. If relaxation is more your style, head to the Deco Bar & Grill to grab a cold cocktail or enjoy classic American cuisine. The resort's free on-site parking is the perfect way to store your rental car should you choose to embark on day trips. Speaking of day trips, the Villas at Doral are located in close proximity to the area's best attractions. Southern Florida is a golfer's paradise, with beautiful courses like the Trump National Doral Miami and Don Shula's Golf Club both within a convenient distance from the resort. Head to South Beach to sprawl out on the famous shores, or visit the Miami Metro Zoo for a day of family-friendly fun. The more adventurous traveler can head east to the Everglades, where an incredibly unique environment awaits. Hike among the famous grasses of the region, or charter a fan boat tour to glimpse some of the area's wildlife. 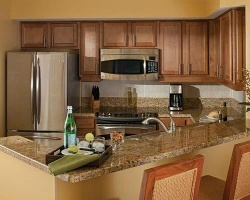 Already Own at Marriott’s Villas at Doral?